In 2011, Filipino Wushu specialist Eduard Folayang was invited to headline the debut event from a brand new promotion called ONE Fighting Championship. Folayang was originally booked to fight fellow Filipino Ole Laursen on the card, but was later matched up with streaking Korean A Sol Kwon when Laursen was sidelined with a knee injury. Folayang prevailed despite the opponent change, winning a unanimous decision. Almost eight years later, Folayang has competed 14 more times for this promotion (which has since dropped the word “Fighting” from its name). 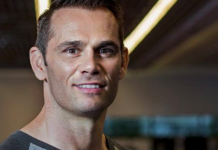 He’s defeated a host of dangerous lightweights from all over the world. He’s fought in a long list of massive Asian cities. 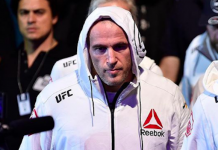 He has captured, lost, and recently recaptured the ONE Lightweight title. 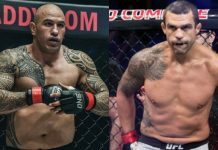 And now, he’s set to headline the upcoming ONE: A New Era card in Tokyo, Japan, in a rematch with the legendary Shinya Aoki. 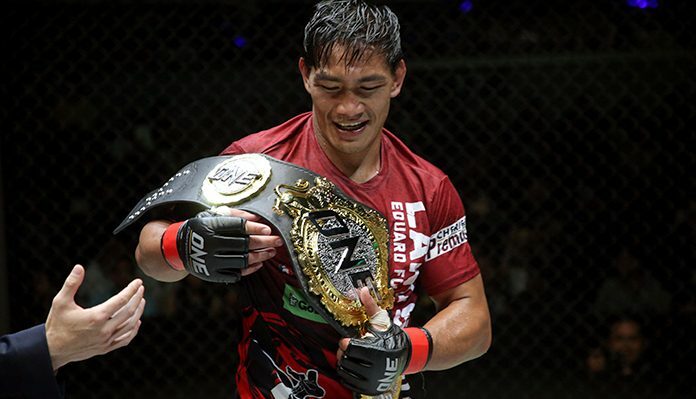 As this showdown with Aoki draws ever closer, Eduard Folayang looked back on his fight with A Sol Kwon on the first ONE Championship card. The Team Lakay product added that, even on that first night with ONE Championship, he sensed the promotion was destined for big things. Since that first ONE Championship fight, Folayang has been incredibly successful. There have, of course, been setbacks. Some worse than others. Luckily, Folayang’s setbacks have been outnumbered by massive victories. His favorite, he says, was his 2016 knockout defeat of Aoki, which kickstarted his first reign as the ONE Lightweight World Champion. 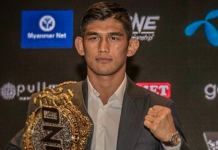 It’s already been a remarkable journey for Eduard Folayang, and now, here he is in the glimmering megacity of Tokyo, gearing up to defend his title on the biggest ONE Championship card to date. As his title fight with Shinya Aoki looms on the horizon, Folayang says he is feeling well-prepared. He’s confident that his training will carry him to another win. In fact, he believes he can knock Aoki out again. While Folayang stands out as one of the most accomplished fighters in ONE Championship history, he assures his journey is far from over. With years of success in the ONE Championship cage behind him, and many more ahead of him, Eduard Folayang truly is the picture of longevity. He says his longevity can be attributed to his mindset. He simply stays focused on the things that are important to him.